Background: The aim of this study is evaluation of the validity and reliability of the Persian version of Knee Injury and Osteoarthritis Outcome Score (KOOS) in patients with isolated meniscus injury. 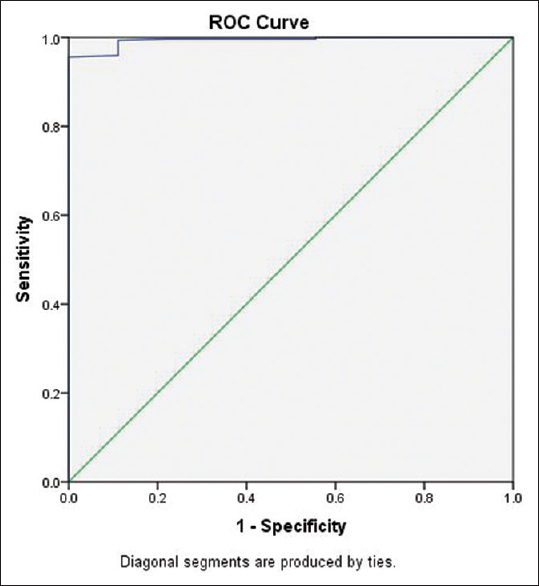 Materials and Methods: One hundred people with isolated meniscal injury (29 females and 71 males with a mean age ± standard deviation [SD] = 32.37 ± 9.97 years) and fifty normal people with no knee problems (34 females and 16 males with a mean age ± SD = 28.42 ± 8.84 years) participated in this study. In patients, the duration of meniscus injury ranged from 1 month to 4 years. For evaluation of discriminate validity, we compared scores of KOOS questionnaire between patients and healthy people, and for concurrent validity, in addition to filling KOOS questionnaire, patients completed Short Form (SF-36) questionnaire, test–retest reliability with intraclass correlation coefficient) ICC), and internal consistency with Cronbach's alpha was calculated. Results: Mean scores of patients (49.51 ± 17.13) and healthy people (86.01 ± 13.44) were different significantly (P < 0.001). The correlation between total score of SF-36 and KOOS was significant (r = 0.77, P< 0.001). ICC was 0.80 (ranged from 0.64–0.75) and Cronbach's alpha was 0.96 (ranged from 0.72 to 0.94). Conclusion: The Iranian version of KOOS is a reliable and valid tool for patients with isolated meniscus injury, so the clinicians and investigators may use this questionnaire in clinical settings and their researches. Background: Posttraumatic and/or postsurgical knee stiffness is one of the orthopedic complications which is difficult to be treated and can affect individual's life negatively. The aim of this study is to investigate the results of quadricepsplasty in patients with knee stiffness resulted from femoral fracture. Materials and Methods: This is a cross-sectional study on all patients with femoral fracture which has caused knee flexion limitation referred to Kashani and Al-Zahra Hospitals in Isfahan from January 2010 to March 2013. The type and site of fracture, joint extension, and fracture fixation technique were recorded. Moreover, the range of motion (ROM) before surgery, under general anesthesia, and 3- and 6-month postoperation were measured. Results: Among the patients, 13 had a simple fracture (48%) and 14 had a segmental fracture (51.9%). Considering the fracture site, 11, 10, and 6 patients had femoral (40.74%), supracondylar (37.3%), and femoral supracondylar (22.2%) fractures, respectively. The fracture fixation was performed by the plate, external, and Wagner fixation techniques for 24 (88.9%), 2 (7.4%), and 1 (3.7%) patients, respectively. The mean ROM before operation, under general anesthesia, and 3- and 6-month postoperation were determined to be 33.15° ± 24.73°, 122.60° ± 10.22°, 99.63° ± 16.52°, and 100.74° ± 15.67°, respectively. The mean ROM value at various stages was not similar (P < 0.001). The mean changes in the ROM were 79.2° ± 24.6° and 62.1° ± 19.7° in the cases with simple and segmental fractures, respectively. The mean changes in the knee ROM were significantly higher in simple fractures in comparison with the segmental femoral fracture (P = 0.03). Conclusion: We found Thompson's quadricepsplasty may successfully increase the range of knee flexion in knee fracture and also regardless of quadriceps time. Background: Pulmonary tuberculosis (PTB) is a chronic granulomatous disease caused by Mycobacterium tuberculosis. The present study determined the serum human enolase-2 (ENO-2), high-sensitive C-reactive protein (hs-CRP), and serum cholesterol levels as biological marker of disease activity and treatment response in smear-positive drug-naïve PTB. Materials and Methods: This case–control study was done in the Department of Medicine, Liaquat University of Medical and Health Sciences (LUMHS), Jamshoro/Hyderabad, Sindh, from January 2015 to April 2016. Thirty-five sputum smear-positive drug-naïve PTB patients and thirty controls were studied. MTB culture and drug sensitivity were performed at the Diagnostic and Research Laboratory of LUMHS. Serum ENO-2, hs-CRP, and serum cholesterol were estimated at baseline, 3rd and 6th month of antituberculosis (TB) therapy. Results: Serum ENO-2 and hs-CRP were found raised in PTB compared to controls and showed decrease of 13% and 21.55%, 19.6% and 31.5% at 3rd and 6th month, respectively (P = 0.0001). 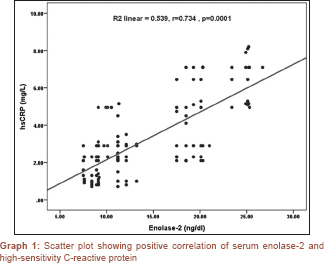 Serum ENO-2 revealed positive correlation with hs-CRP (r = 0.734, P= 0.0001), and serum cholesterol revealed negative correlation with ENO-2 and hs-CRP (r = −0.509, P= 0.0001) and (r = −0.566, P= 0.0001), respectively. Conclusion: The present study reports the baseline ENO-2 and hs-CRP were raised, and serum cholesterol was low in smear-positive PTB patients and the ENO-2 and hs-CRP were reduced by anti-TB drug therapy. Original Article: Medication adherence in patients with hypertension: Does satisfaction with doctor-patient relationship work? Background: It is assumed that doctor-patient relationship plays an effective role in patients' satisfaction, medication adherence, and health outcomes since exploring different aspects of this relationship, such as addressing medication adherence, has rarely been investigated. Therefore, the main aim of the present study was to assess the impact of patients' satisfaction derived from communicating with doctors on medication adherence in hypertensive patients. 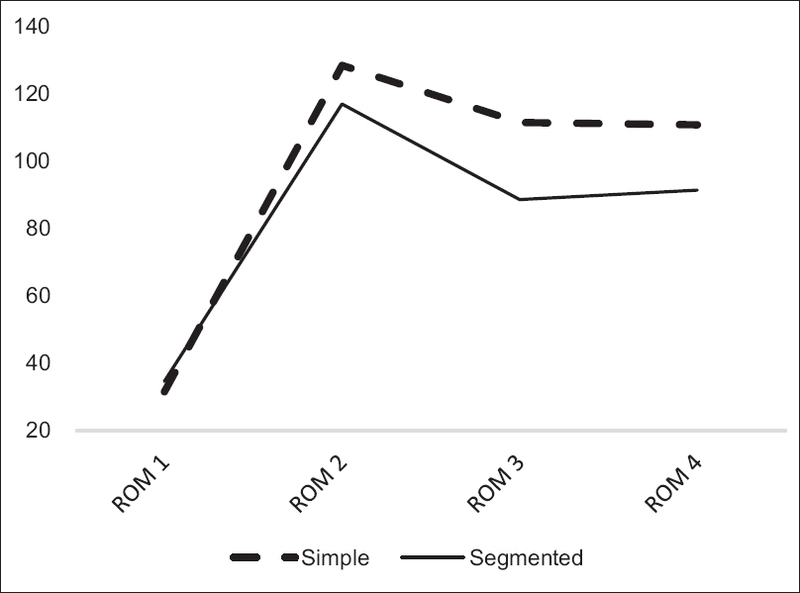 Materials and Methods: This cross-sectional survey was conducted on three hundred patients with hypertension, using multistage sampling technique in health care centers in Isfahan, Iran. Data were collected by two questionnaires comprised (1) patients' satisfaction derived from the relationship with doctors and (2) medication adherence named “Morisky Medication Adherence Scale” with 8 items. Multivariate logistic regression model was applied to test the odds ratio (OR) of patients' satisfaction resulting from the relationship with physicians in numerous aspects in two groups: appropriate and inappropriate medication adherence. Results: A lower level of satisfaction derived from building the relationship (confidence interval [CI] =0.95, 0.06–0.71 and OR = 0.20) and empathy subscales (CI = 0.95, 13–0.80 and OR = 0.33) was associated with nonadherence to treatment after controlling the physicians' gender and patients' age, gender, education, and duration of disease. Conclusion: Patients' satisfaction resulting from building the relationship and empathy with physicians appeared to be associated with medication adherence among hypertensive patients. Background: Considering the existence of controversies about the predictive value of inflammatory markers for cardiovascular disease (CVD), we aimed to compare the level of high-sensitivity C-reactive protein (hs-CRP) and interlukin-6 (IL-6) level in chronic hemodialysis (HD) patients with and without CVD. Materials and Methods: In this historical cohort study, HD patients with and without CVD disease were enrolled. The presence of CVD risk factors, level of inflammatory factors including IL-6 and hs-CRP as well as lipid levels, fasting blood sugar, and other biochemical factors were compared in two studied groups. Results: During the study, eighty HD patients with (n = 40) and without (n = 40) CVD were enrolled. Diabetes was more prevalent among HD patients with CVD than those without CVD (P < 0.05). The level of IL-6 and hs-CRP were not different in two studied groups (P > 0.05). Univariate analysis of variance test indicated that there was not any significant relationship between hs-CRP and CVD (P > 0.05). Conclusion: The findings indicated that the level of inflammatory factors including hs-CRP and IL-6 are not significantly different in HD patients with and without CVD. 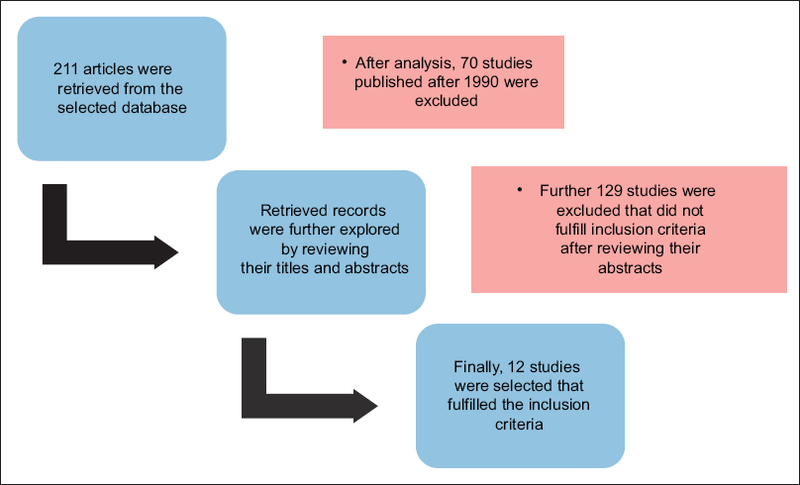 However, for obtaining more definite conclusion in this field and evaluation their predicting role in this field, it is recommended to study other novel inflammatory markers as well as the additive effect of the inflammatory factors with traditional ones in larger sample size and longer follow-up. Background: This study was conducted to assess the validity and reliability of ankle-brachial index (ABI) by oscillometric blood pressure (BP) measurement as compared with an automated ABI as a gold standard. 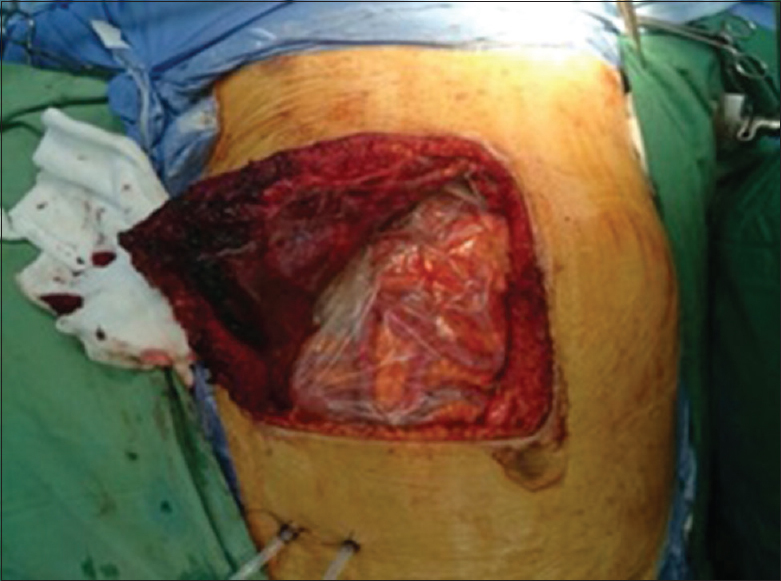 Materials and Methods: This study was conducted at Golden Jubilee Medical Center, Thailand. All the data were collected from 303 patients at risk of peripheral arterial disease (PAD) who were 45 years of age or above and who underwent treatment at the outpatient medical clinic between June and December 2015. Patients who were followed up at the medical clinic had both oscillometric BP measurement (Terumo, ES-P600) and an automated ABI (oscillometric method) at the same time. Sensitivity, specificity, positive predictive value, and negative predictive value of the oscillometric BP measurements to predict an abnormal ABI (<0.90) were determined using the automated ABI as the gold standard. Results: ABI values were similar between the two methods. The oscillometric BP method for determining an ABI (cutoff point <0.90) on the right side had a sensitivity of 88.89%, specificity of 99.32%, an accuracy of 99.01%, a positive predictive value of 80%, and a negative predictive value of 99.32% whereas ABI on the left side had a sensitivity of 69.23%, a specificity of 99.66%, an accuracy of 98.35%, a positive predictive value of 90%, and a negative predictive value of 98.63%. Reliability of the oscillometric BP method by Kappa statistics was 0.84 on the right side and 0.77 on the left side (P = 0.000). Conclusion: The oscillometric BP method is a reliable and useful alternative to conventional automated ABI determination in patients with no severe arterial occlusion for estimation of the prevalence and screening of PAD in primary health-care settings.